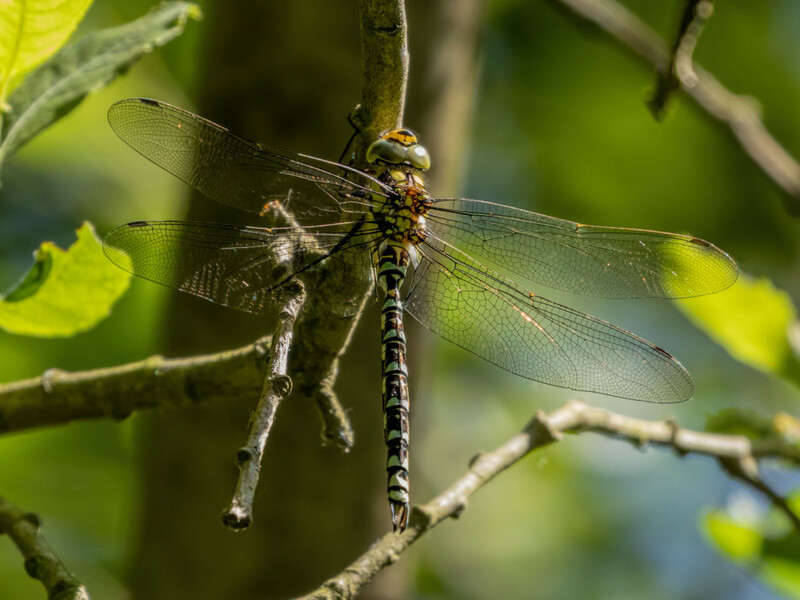 Migrant Hawker finally confirmed on the wing and seen here by Jan Shields both at Whixall Moss and at Mousecroft Pool near Shrewsbury. 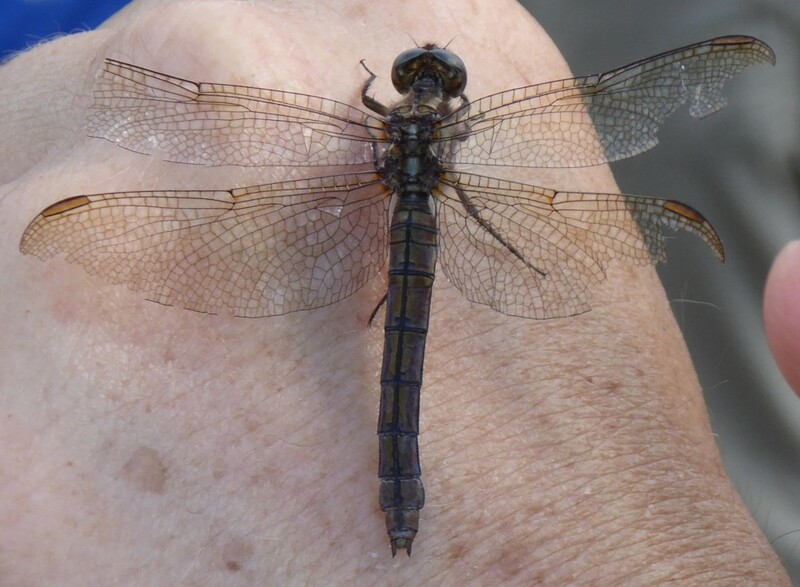 Jan’s photos show clearly the reduced antehumeral stripes on the male thorax and you can just about make out the diagnostic ‘golf tee’ shape at the top of the abdomen on the in flight shot (below right). 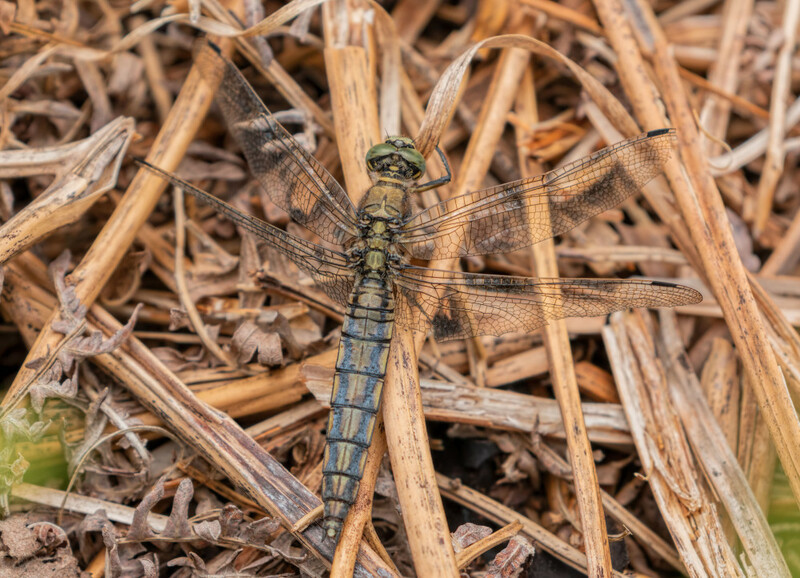 Jan has also been enjoying Brown and Common Hawkers, Emperors and Common and Black Darters (far below right) at Whixall Moss despite many dry pools. 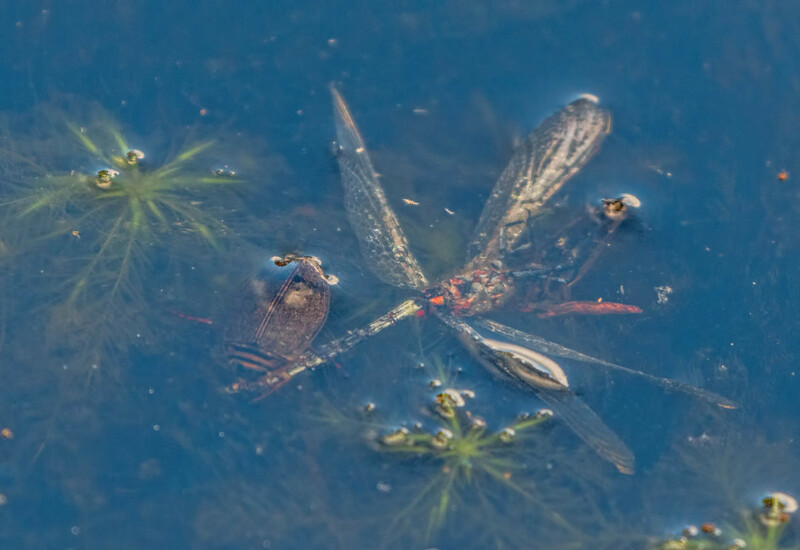 Emerald Damselfly (far below left) also seem to be surviving the heat and Jan recorded these unusually also at Mousecroft Pool. 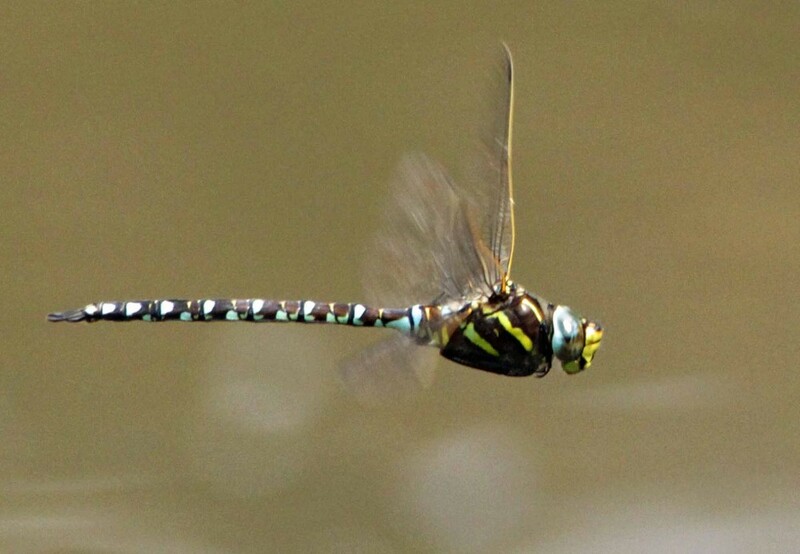 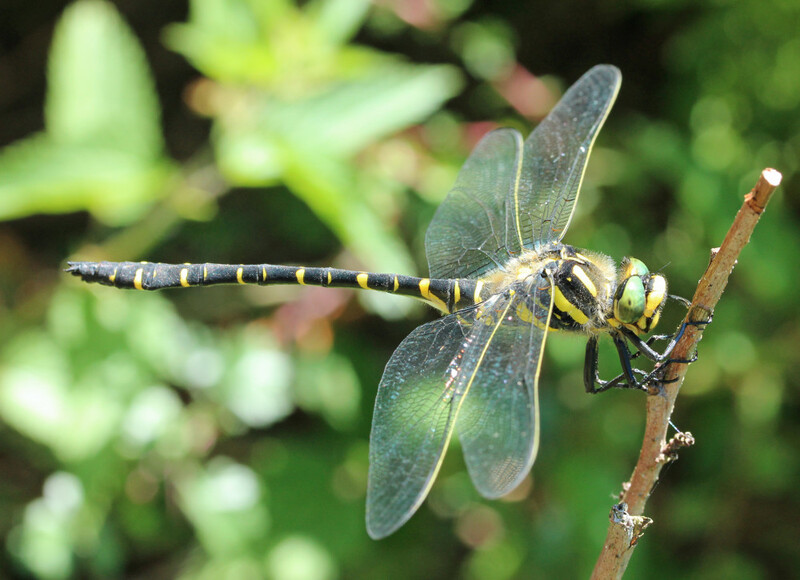 Jan’s photo of a Common Hawker (left) shows the straight up-tilted abdomen in flight- a contrast to the slightly drooping abdomen of the Migrant Hawker in flight above. 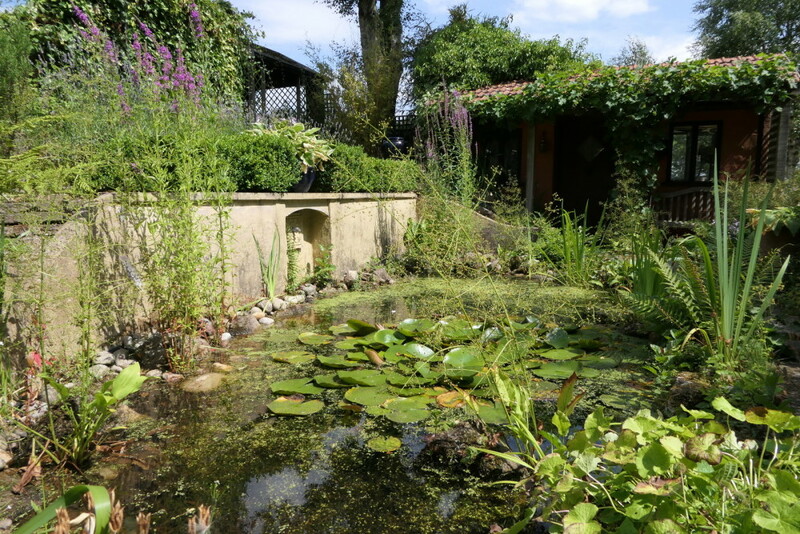 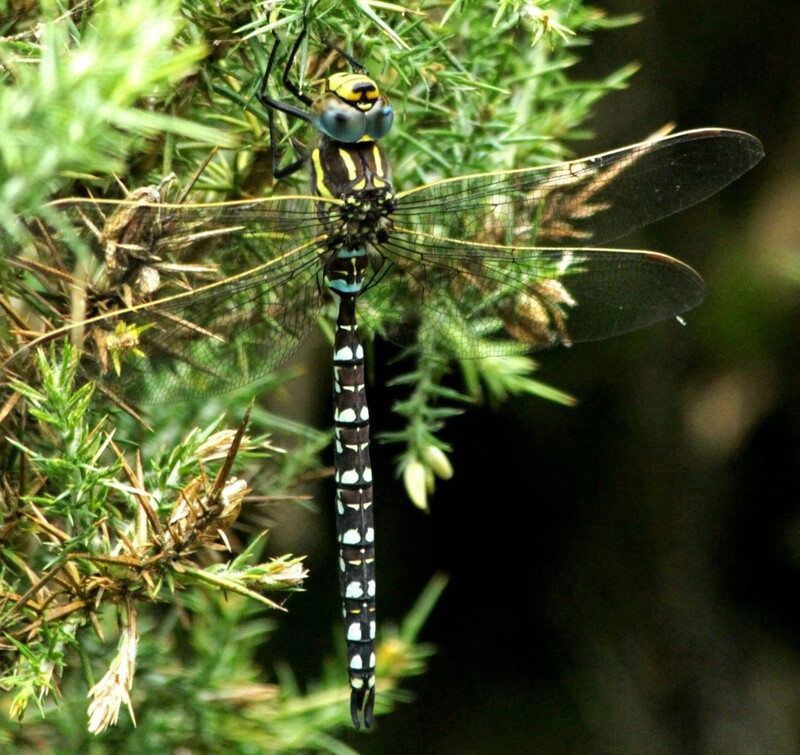 David Goodwin has been in touch reporting over 60 Southern Hawker exuviae from his garden pond pictured below. 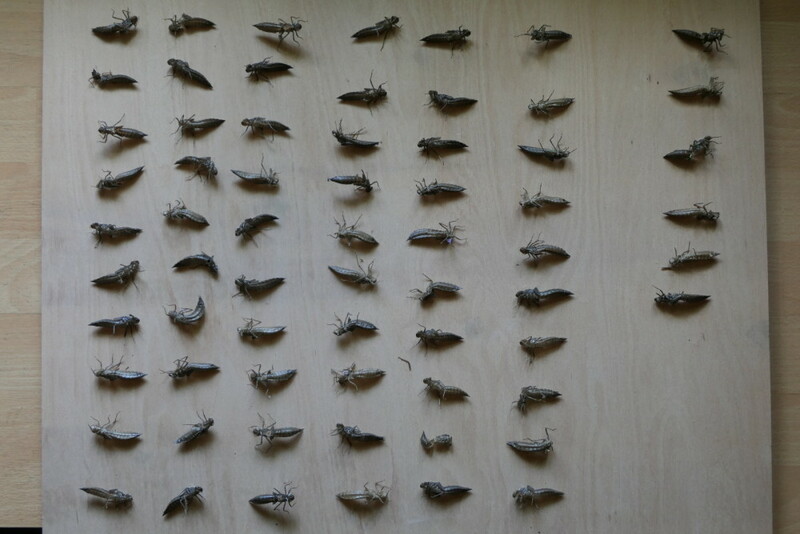 David is based in Staffordshire, but such a focus on these ‘proof of breeding’ records deserves special mention! 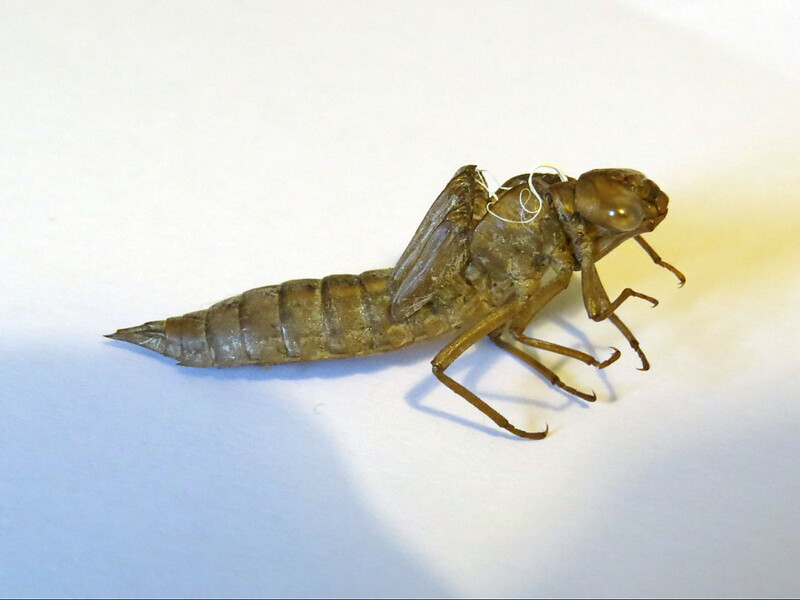 David has seen around 5 adults emerge from the pond, but the far greater number of exuviae clearly show how much activity there has been. 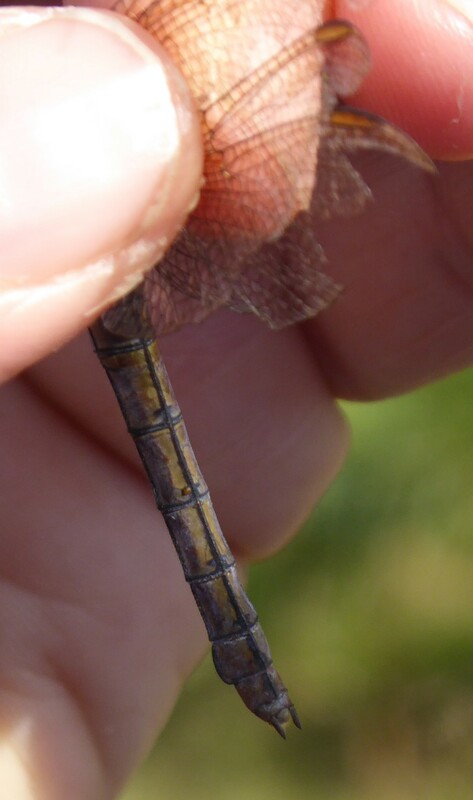 It’s also a great reminder to check vegetation for exuviae, and indeed walls and fences as they can travel some distance! 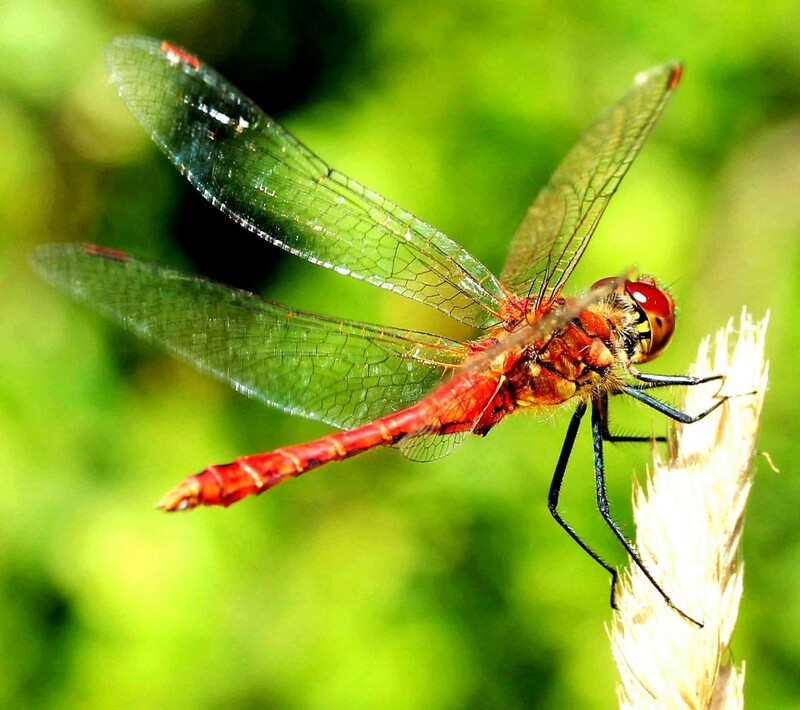 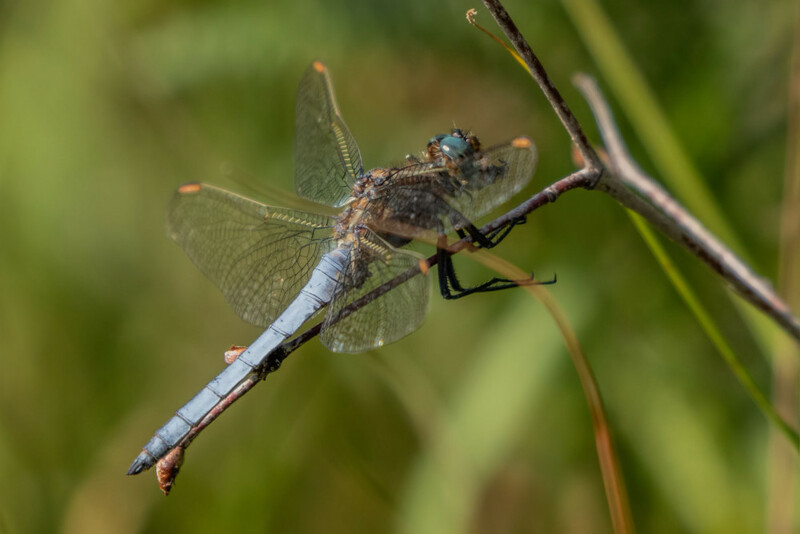 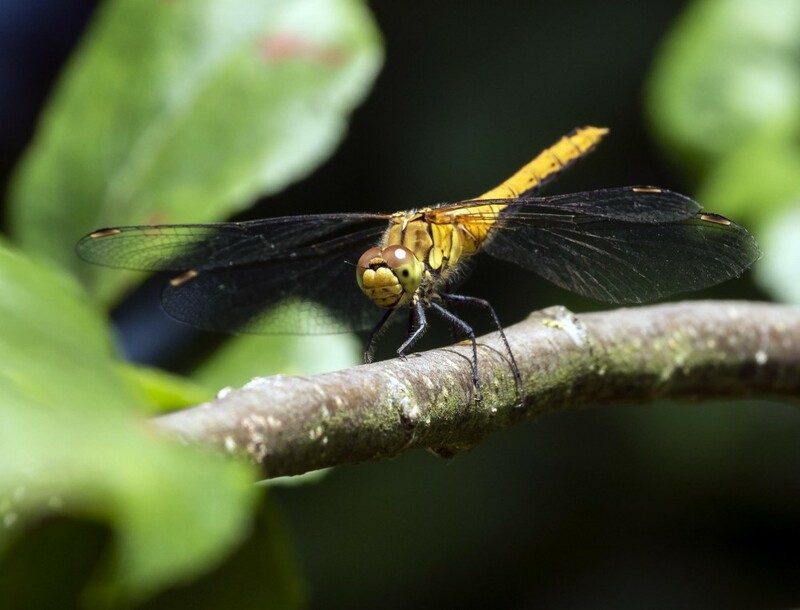 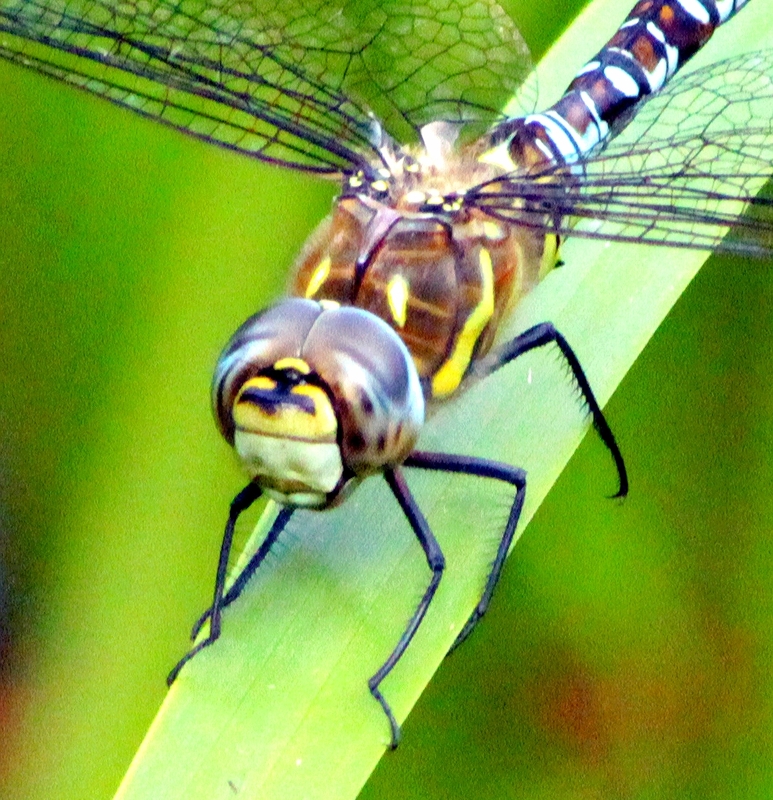 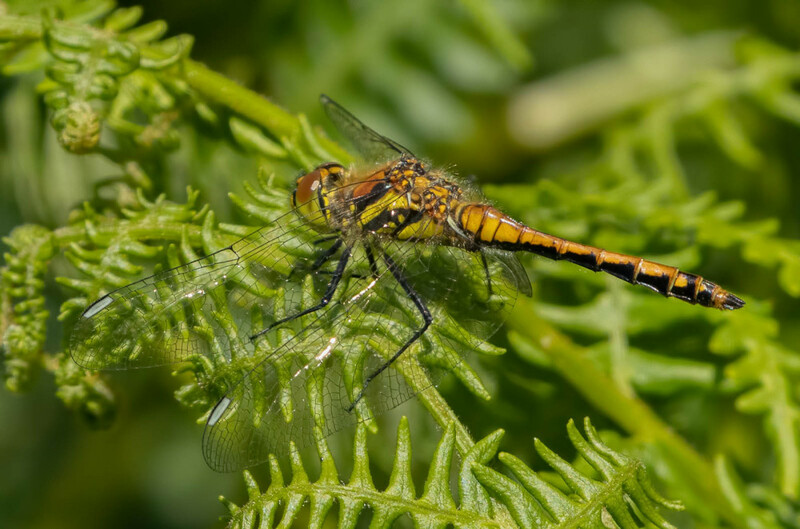 Whixall Moss has historically produced a few suspected sightings of Keeled Skimmer, the photographic proof being provided by Lee Wilkinson back in 2013. 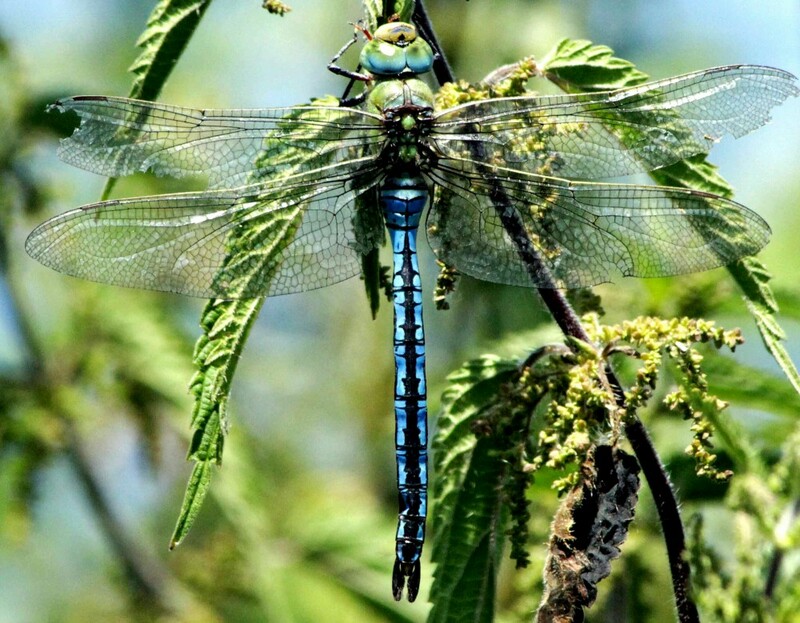 All has been quiet-ish since then…again with a number of possible unconfirmed reports-until now. 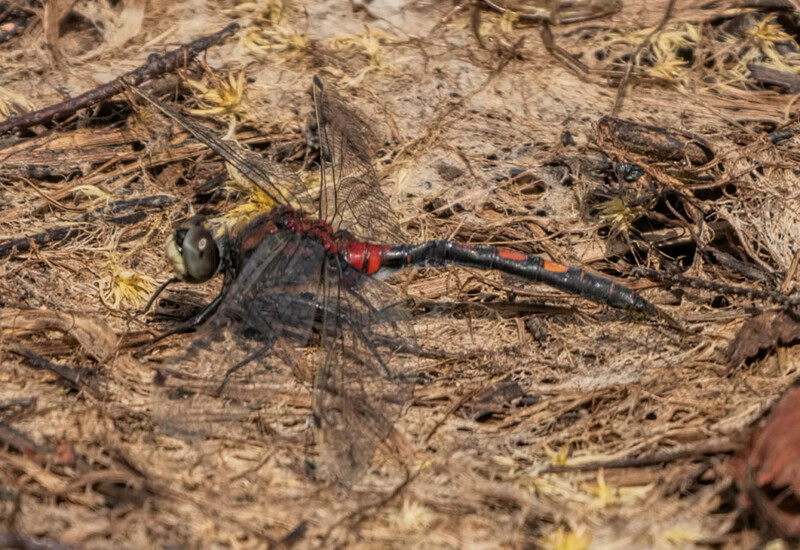 Stephen Barlow has seen several possible sightings this year and photographed this male seen here on the left. 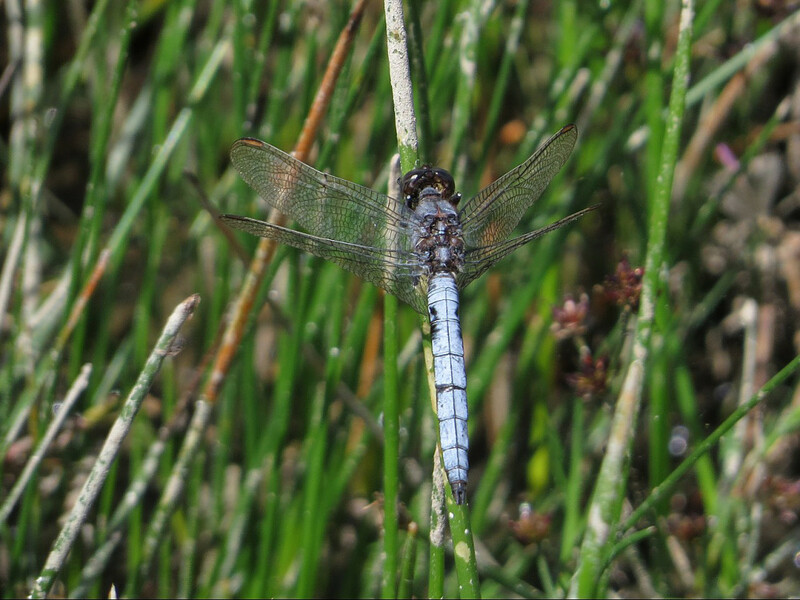 This hopefully indicates that this species is resident and successfully breeding at Whixall Moss so keep us posted on any more sightings. 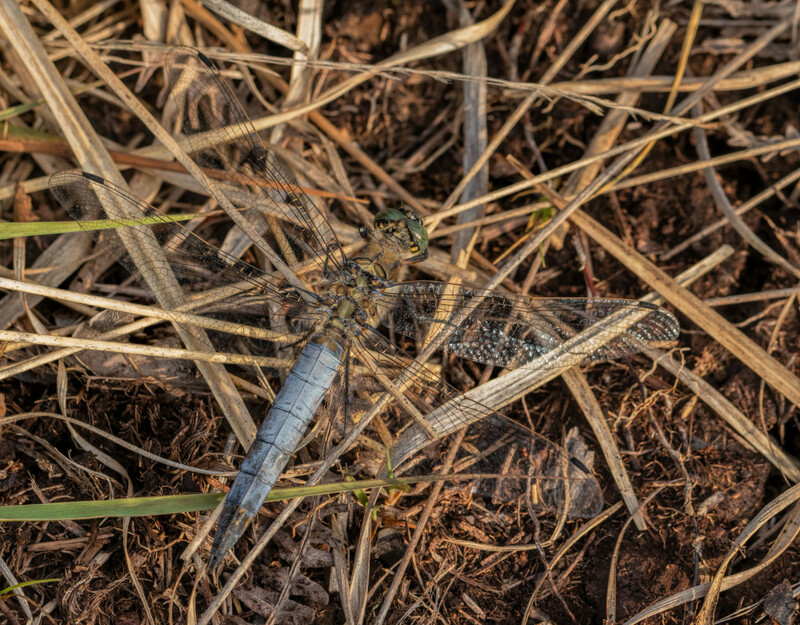 Just be aware that Black-tailed Skimmer is also blue and medium sized and resident at Whixall as picture below (male left, female right). 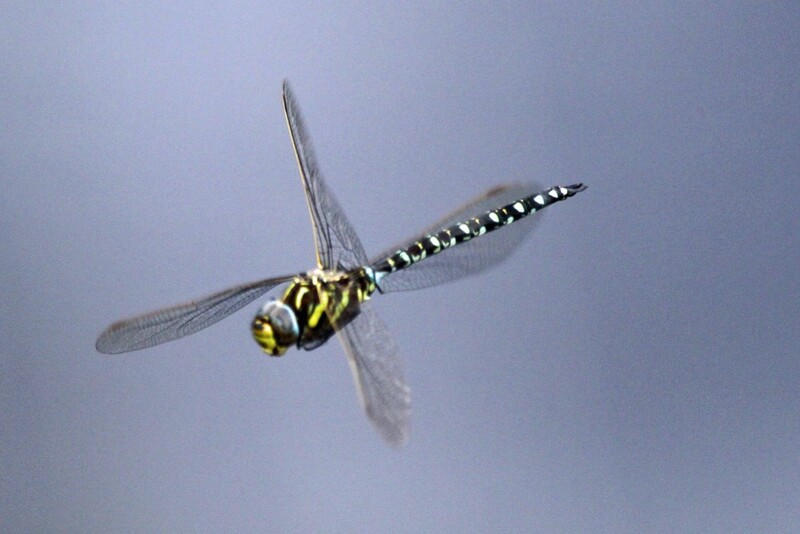 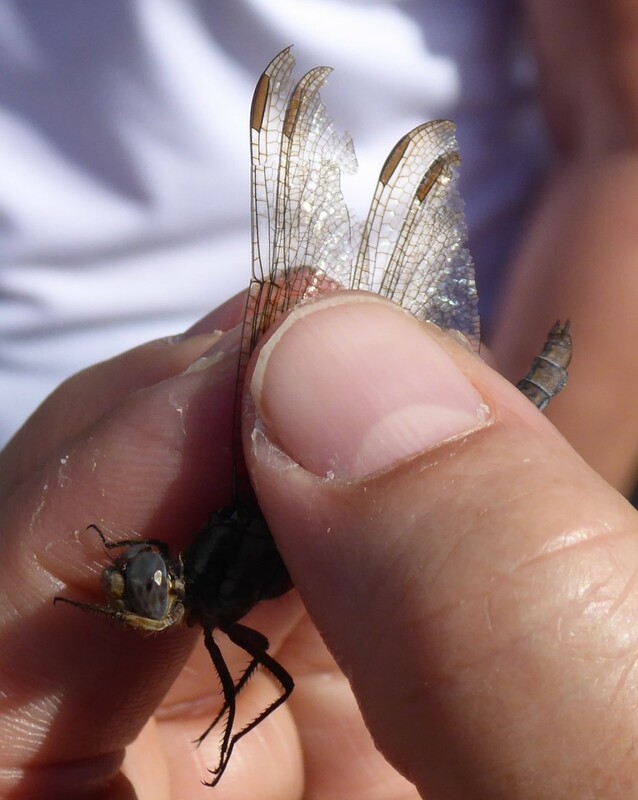 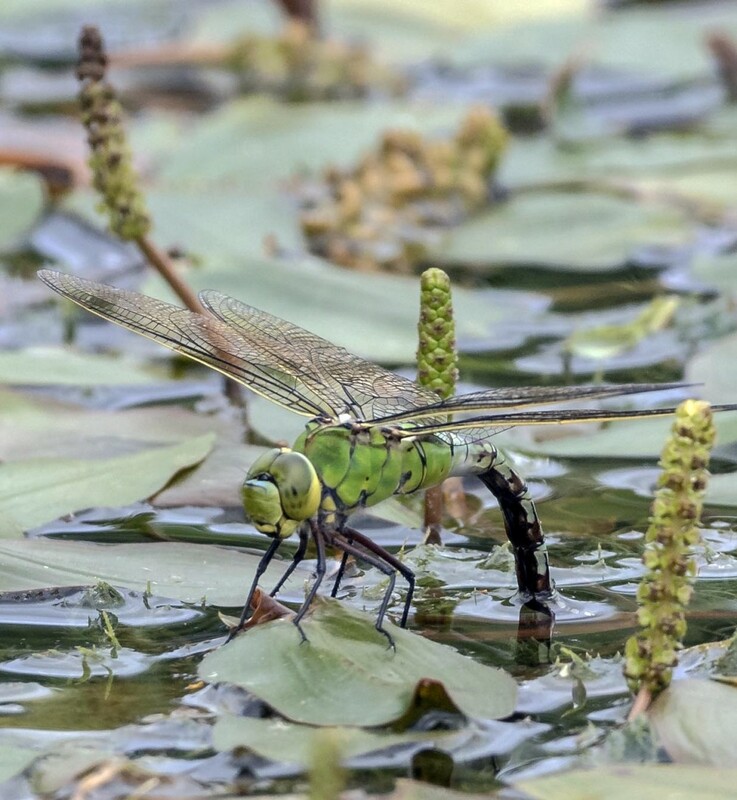 Stephen Barlow has sent in a couple of photos illustrating the last days of the White-faced Darter flight season. 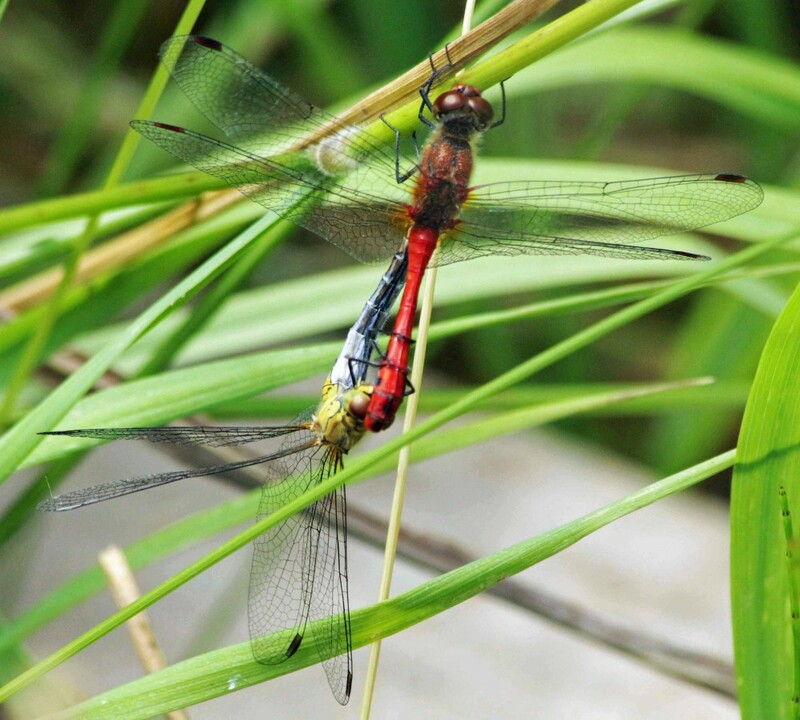 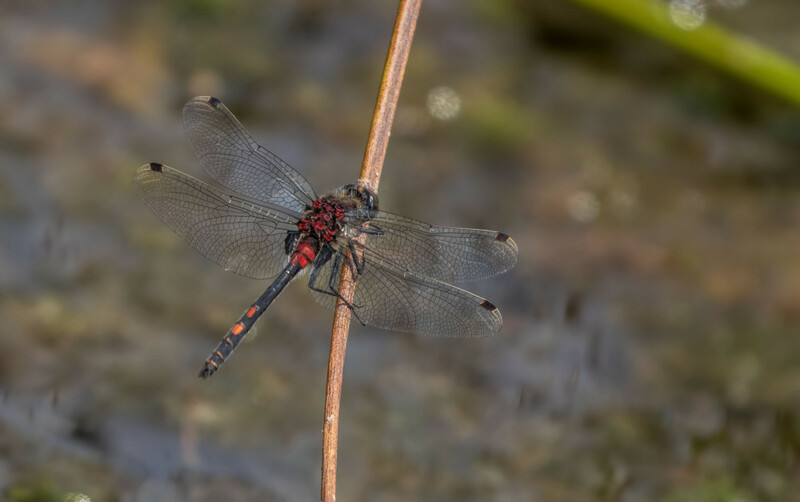 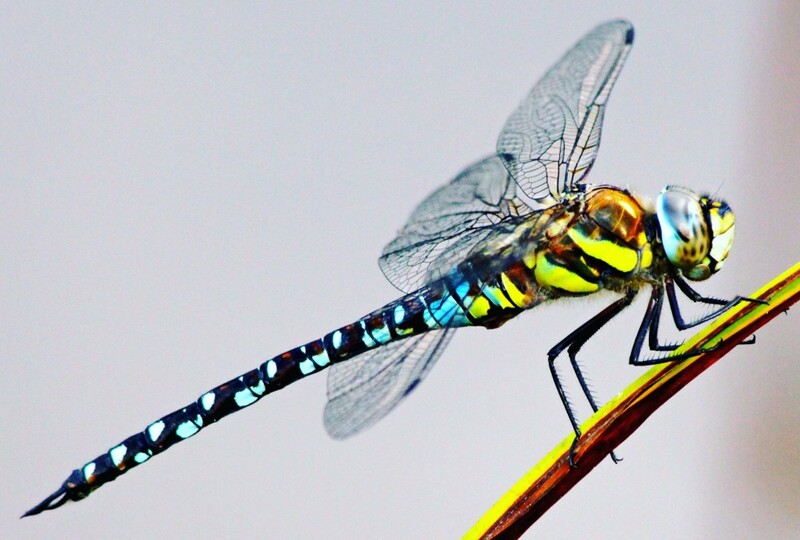 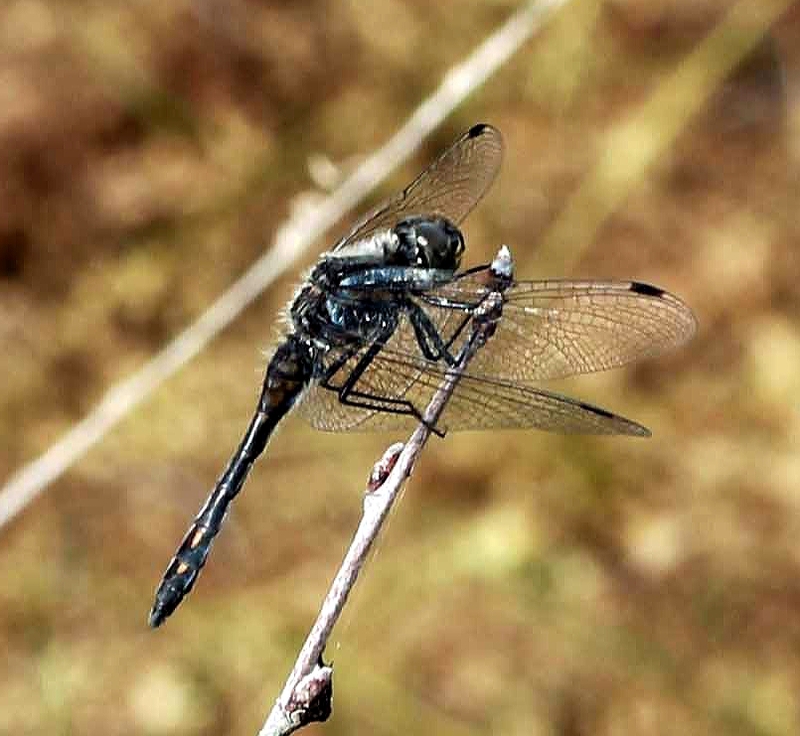 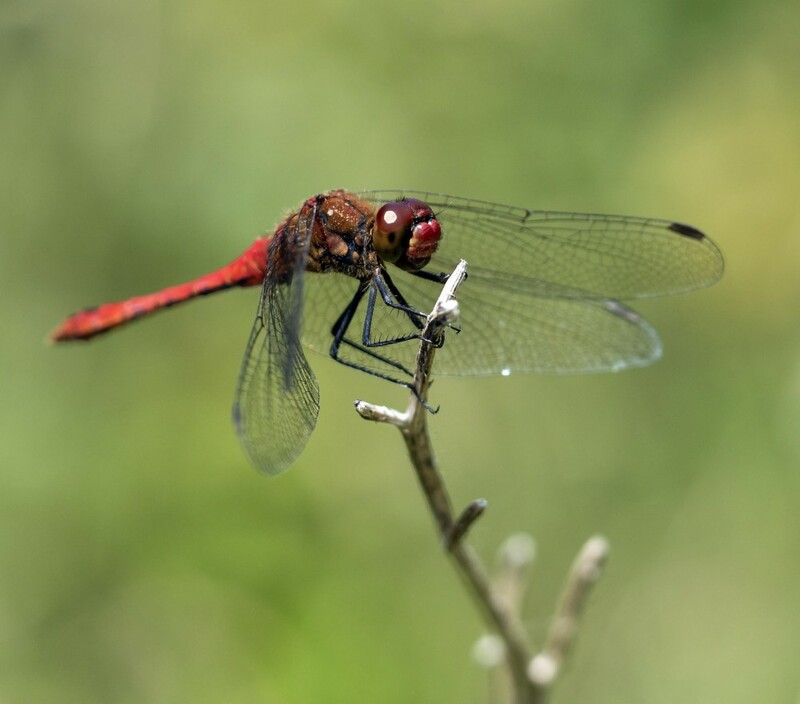 Whilst other species such as Emerald Damselflies and Black Darters are on the rise, the remaining White-faced Darters are narrowly avoiding being eaten by birds (below) and not avoiding being eaten by magnificent Diving Beetles (left)! 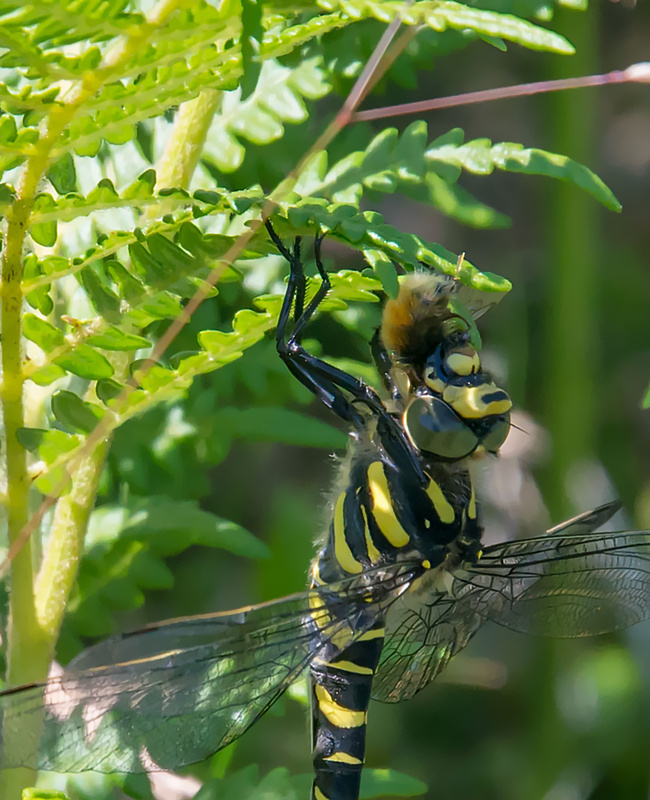 Elsewhere, Jan Shields has been enjoying Common Hawkers at Carding Mill Valley (below). 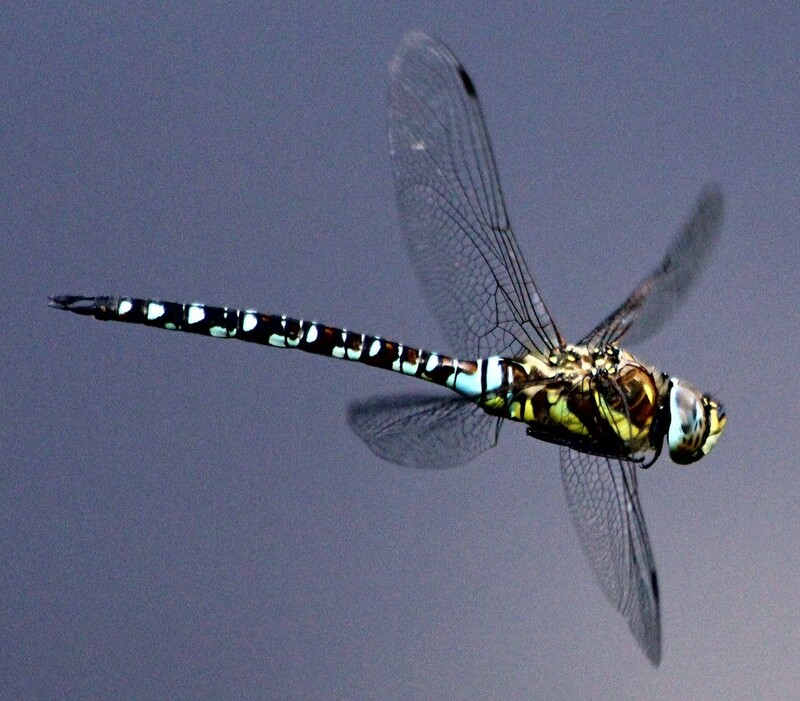 How anyone manages to get these stunning in flight photos is beyond me…especially for a species described as ‘relentlessly on the wing’! 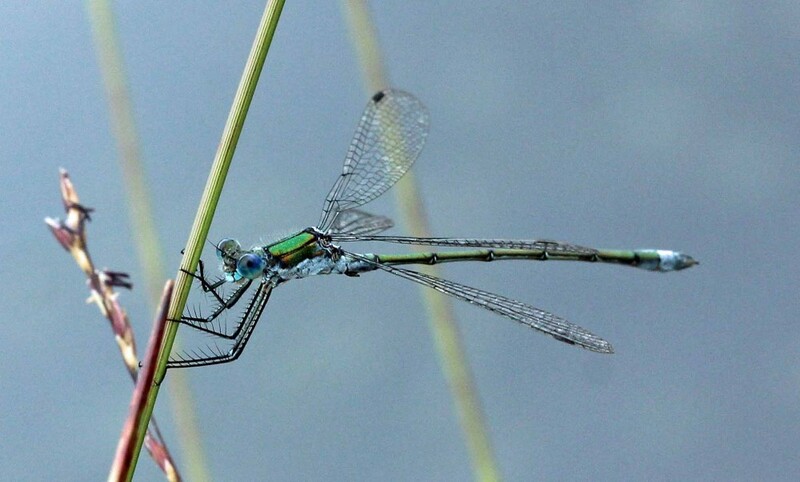 Jason Kernohan has been on the trail of the aptly named Scarce Blue-tailed Damselfly on Titterstone Clee Hill. 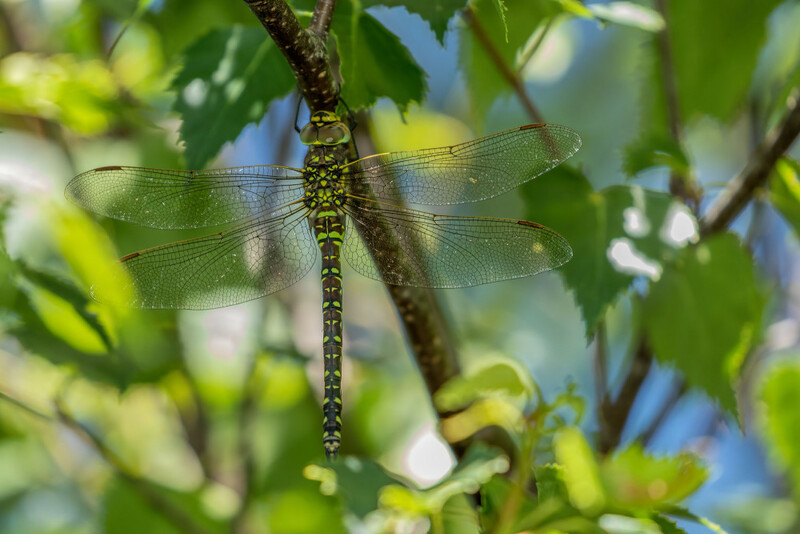 Sadly to no avail this time, but he did find the first evidence of Common Hawker emerging this season with this fabulous exuviae. 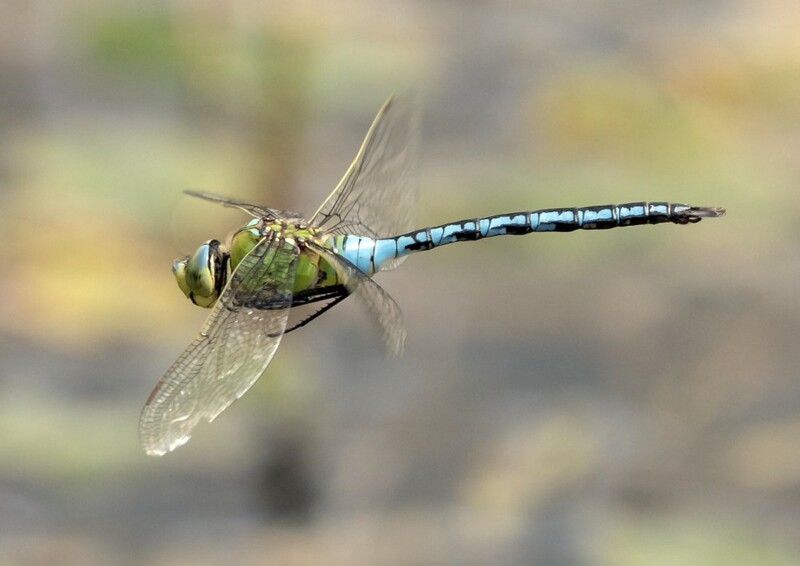 Don’t forget they are the best records to get as they are proof of successful breeding. 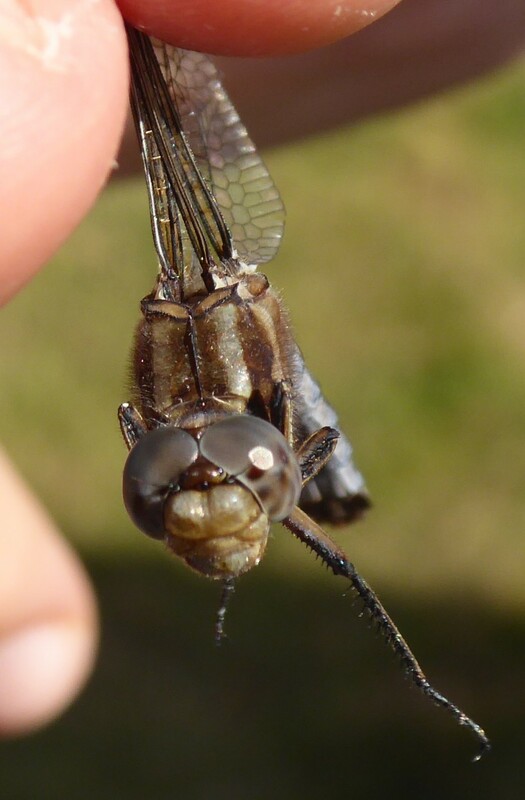 I’m really enjoying all the exuviae emerging from our relatively new pond this year- up to about 25 Common Darter so far!